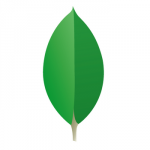 MongoDB Jackson Mapper – Mapping to POJOs couldnt be easier! Mapping to POJOs couldn’t be easier! Since MongoDB uses BSON, a binary form of JSON, to store its documents, a JSON mapper is a perfect mechanism for mapping Java objects to MongoDB documents. And the best Java JSON mapper is Jackson. Jackson’s parsing/generating interface fits serialising to MongoDBs documents like a glove. Its plugins, custom creators, serialisers, views, pluggable annotators and so on give this mapping library a massive head start, making it powerful, performant, and robust. Both the object itself and the id of the object are strongly typed. If the id is generated, you can easily obtain it from the write result. Deserialises queried objects directly from the MongoDB stream, making it one of the (if not the) fastest object mappers for MongoDB out there. Uses Jackson for object mapping, so compatible with most Jackson features, including custom serialisers and deserialisers, creators, views, annotation introspectors, etc. Wraps the MongoDB driver DBCollection, providing most of the original methods, plus strongly typed versions. Gives low level access to advanced MongoDB driver features. Supports querying using objects as templates, and selecting fields to return using objects as templates. Supports mapping ObjectIds to strings and byte arrays, using an @ObjectID annotation. Supports @javax.persistance.Id annotation for marking which property is the id (or just call it _id). Provides interface to building update commands with update modifiers, which supports POJOs which will be serialised by Jackson. Supports database reference conventions, with convenience methods for fetching references and collections of references in one query. Copyright © 2011-2017 devbliss GmbH. All Rights Reserved.